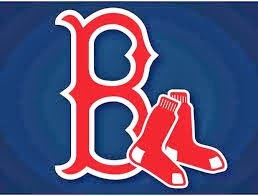 We are days away from another MLB season and more importantly to us here at RSM another Boston Red Sox season. With the opener on this Thursday we will fire up our somewhat dormant site with the annual predictions for MLB. Here are my predictions for the order of finish in each division, as well as playoff predictions including the World Series winner and several of the postseason awards. Also included will be some random predictions and a few more in depth paragraphs about the outlook on the Red Sox. 4. Kansas City Why did Moose return for this? ALDS Houston over Cleveland and Boston over Twins each in four games. ALCS Houston over Sox 4 games to 3. ( more on this later). AL MVP : Carlos Correa. Astro shortstop edges Andrew Benintendi. 5. San Francisco But Players Do Get AARP discount at Fine Bay Area Eateries. Colorado over Dbacks in Wild Card Game 14-12. NLDS Cubs sweep Colorado, Nationals over Dodgers in five, after falling behind 0-2 in games. NLCS More heartbreak in DC as Cubs take the series in six games. WORLD SERIES Houston repeats as World Champions by winning a seven games series. George Springer is the WS MVP. 1. The AL wins the All Star Game held at Nationals Park in DC ( the fourth consecutive All Star game held in a NL park). Yoan Moncada follows a Rafael Devers double with one of his own to give the AL a 7-6 win. 2. Only one MLB batter breaks the fifty home run mark this year. Miguel Sano of the Twins hits 52. The NL co-leaders are Harper and Kris Bryant with 47. Speaking of Harper, he does get a $400 million ten year contract as free agent, but he does not leave town and gets the $ from the Nationals. Manny Machado also his $400 million deal by moving the the NL and signing with Philadelphia. 3. First manager to be fired is the Reds' Bryan Price and he is replaced by Cincy pitching consultant/ESPN contributor John Farrell. 4. The Red Sox will hit more home runs than the Yankees. Let me start by saying I really, really wanted to pick the Red Sox over the Cubs in the World Series. Houston seems so strong on paper, and with everyone blowing smoke up the Yankees' behinds, it just seemed so Red Sox biased (which I am) to pick Boston to win it all. So I went with Houston, but here are a dozen reasons I really believe the Sox will win it all , after winning 98 games in the regular season. 1. Alex Cora. I get that Cora is a first time big league manager, and I am not trying to lay all of the 2017 blame at John Farrell's feet. And when I say Alex Cora, I am including his new staff as well. Two things Cora and staff will change in this team; the atmosphere on and off the field. And more importantly a new hitting philosophy that will have the Sox hitters looking for a pitch to drive right from the first pitch of an at bat. This hitting approach will directly effect reasons 2 through 5. 2. Mookie Betts. Betts could have a legitimate claim to be the best player in baseball. 2017 was a year many players would die for, but for Betts it was a step back. Mookie will not only thrive under Cora, he will become a team leader. 3. 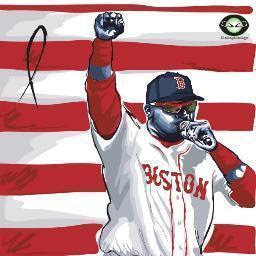 Xander Bogaerts. Like Betts, Bogaerts reportedly is very hard on himself when he encounters on the field failure. Xander had also become very passive at the plate. The new regime will directly influence both of these situations. From the day Alex Cora was hired I fully expected a revival of Bogaerts' career. 4. Jackie Bradley, Jr. JBJ also could benefit from the new ideas and attitudes, but the best thing Boston did for Jackie was keep him in center field after a winter of trade rumors. Look for at least a return to 2016's offensive output. 5. Andrew Benintendi. If Betts is not the best player on this team, it will be because Benintendi is. Andrew has added about twenty pounds of muscle this winter, and looks primed for a monster season. 6. JD Martinez. JD is even a better addition to this club than many fans realize. Martinez was second to Mike Trout in OPS last year. JD has been in the MLB top ten in OPS in each of his four full time seasons. For every 162 games played, JD has averaged just under 40 home runs per. JD Martinez is a great hitter. 7. David Price. 2017 was pretty much a lost season for the former Cy Young Award winner. With arm woes and off the field controversies, Price was written off by many Sox fans. That would be a mistake. Price, who was the best Sox hurler in the post season, seems healthy this spring and motivated to prove '17 was an aberration. 8. Starting Rotation. With the possible exception of Houston, Boston has the makings of the best AL rotation. A one-two of Chris Sale and David Price outdoes any other rotation. Rick Porcello needs to return to a semblance of the 2016 version and Drew Pomeranz is coming off a 2016 NL All-star status and a 17-6 2017. Drew is free agent after this year and should be highly motivated. And with Eduardo Rodriquez having surgery to stabilize his chronic knee issues, he could blossom. He turns only 25 in April. 9. Craig Kimbrel. Kimbrel had one of the best seasons by any closer in history in 2017. Kimbrel can also be a free agent after 2018 and again has every reason to be an elite closer again. 10. Rafael Devers. At age 20, last season Devers broke in the big leagues and hit ten home runs in 222 at bats. It is very easy to see Devers hit 25-30 in a full season. 11. Depth. If anything goes wrong in the line-up (injuries, etc.) the Sox have players like Eduardo Nunez (who will be the second baseman for the first month or two while Dustin Pedroia recovers from major knee surgery), Brock Holt, and especially Blake Swihart. The Sox hope to turn Blake into a catcher/utility player. Wherever he plays Swihart will hit. A lot. Also if the Hanley Ramirez/Mitch Moreland first base platoon springs any leaks watch for Sam Travis to come up and contribute. 12. 2018 is the 100th anniversary of the one time much mentioned 1918. So in summary, yes I believe the Sox win 98 games (about a 5 % increase of 2017) and win the east and get to the ALCS (at least). They will finish a half dozen games ahead of the team in the Bronx. Enjoy the predictions and most of all enjoy the season.